But it stopped, short, never to go again, when the old man died. It stopped, short, never to go again, when the old man died. I never could figure out why he seemed so fascinated with this song since he had never sung it when I was growing up. 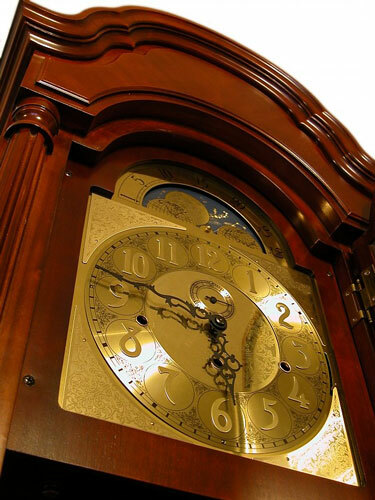 Was it that the children loved the “tick, tock” or was it that one of his favorite earthly possessions was his grandfather’s clock that he built himself? It might have been both because between hearing Grandpop’s deep bass voice and hearing the clock chime just a few feet away, his grandchildren were usually spellbound. When I was in high school Daddy built a grandfather’s clock from an Emperor Clock kit and he was never the same. He was proud of his accomplishment but there was something more, like he had a relationship with his clock. If the clock were losing time, Daddy could not rest until he resolved the problem. It was only in his later years that anyone besides Daddy fixed the clock. So, perhaps this song hit a familiar chord with Daddy and his clock. Pingback: Vampires Are . . . | Small Town World . . .